DHAKA (92 News) – After suffering a loss in the warm-up game against BCB XI, Pakistan is all ready to battle for victory in the first one-day international against Bangladesh at the Sher-e-Bangla National Stadium, Mirpur on Friday. The match will start at 1:30pm (PST). Zulfiqar Babar has been included in place of injured Yasir Shah for ODIs. Shah was injured during the warm-up game against BCB XI with cuts to his thumb. 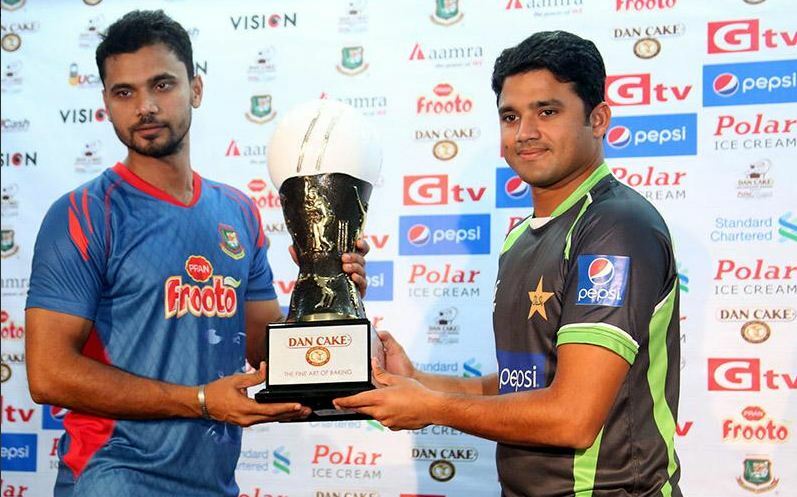 This is the first series Pakistan and Bangladesh play since December 2011. Pakistan (probable): Mohammad Hafeez, Azhar Ali (captain), Haris Sohail, Saad Nasim, Fawad Alam, Sarfraz Ahmed (wk), Wahab Riaz, Junaid Khan, Saeed Ajmal, Rahat Ali, Ehsan Adil. Bangladesh (probable): Tamim Iqbal, Rony Talukdar, Soumya Sarkar, Mahmudullah, Mushfiqur Rahim (wk), Shakib Al Hasan, Sabbir Rahman, Nasir Hossain, Arafat Sunny, Taskin Ahmed, Rubel Hossain.